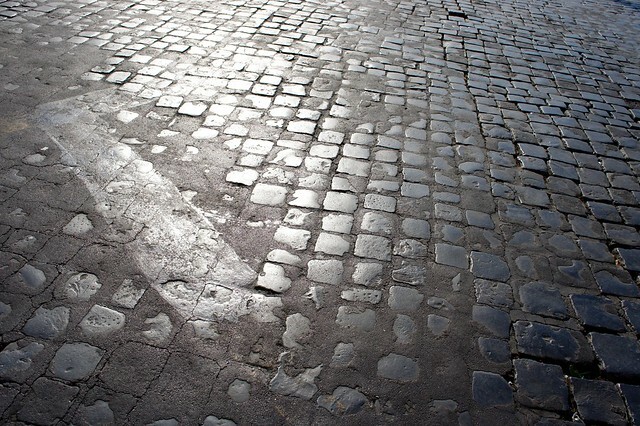 Paving Rome's roads with sampietrini began during the 16th century, and the first cobblestones were made by trimming larger basalt blocks that had been used to pave the roads of ancient Rome. 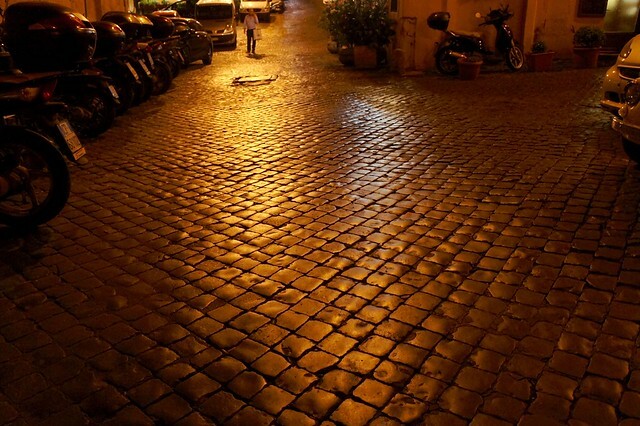 Smoother and stronger than terracotta bricks, sampietrini soon covered almost all streets in medieval Rome. The name “sampietrini” is said to have been coined in 1725 by Monsignor Ludovico Sergardi, the prefect of the Fabbrica di San Pietro who oversees all public works in the Vatican. 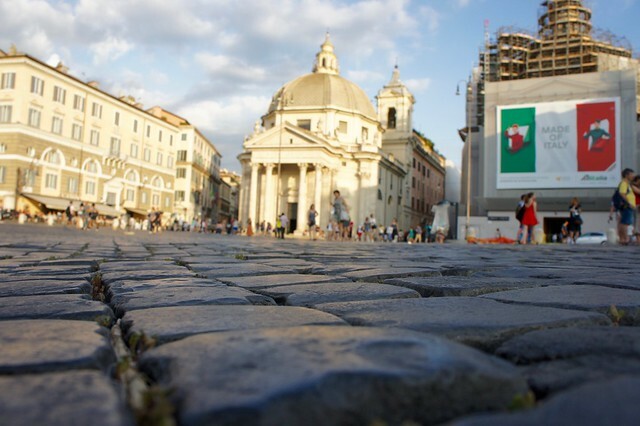 After noting the poor condition of the surface of Piazza San Pietro, where the Pope's carriage had almost been overturned by the potholes, he decided to pave the entire piazza with basalt blocks. From San Pietro, the name slowly evolved into sampietrini (or, in Roman dialect, “serci”). 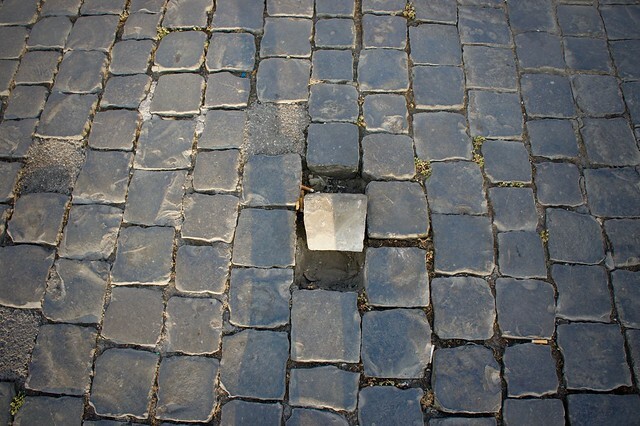 Sampietrini are particularly suitable to Rome's irregular ground surface, as the lack of mortar between the blocks leaves the sampietrini to undulate with the movement of the earth below. This type of paving can hold up to the heavy traffic of an urban city, and is also excellent at absorbing water into the spaces between each block, causing less stress on the city's overtaxed sewer system. 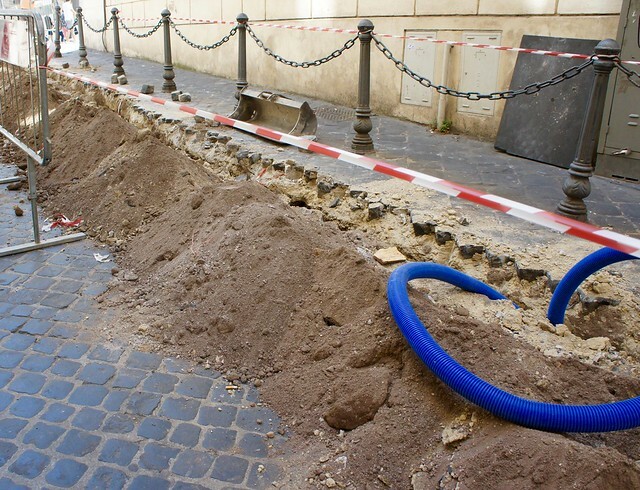 Unfortunately, the same irregularity that enables sampietrini to adapt to irregular surfaces can make it dangerous for bikes and mopeds, easy to trip over on foot, and noisy under rattling trucks if not laid with skill and properly maintained. 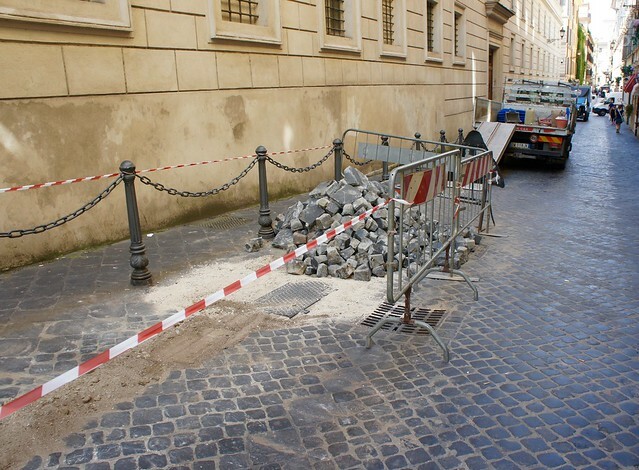 For these reasons, Rome's historic sampietrini are slowly being replaced by modern asphalt in all but the most historic neighborhoods, despite protests from residents and visitors alike. So the next time you're in Rome, be sure to look down and appreciate the beauty and precision of the sampietrini streets.